I'm back! 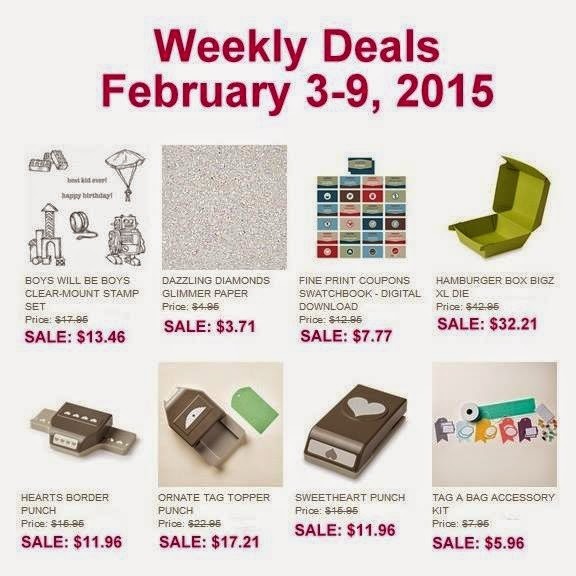 We were in Florida for a bit of vacation and for me to attend the Stampin' Up! Leadership Conference in Orlando. While it was nice to get away, it wasn't nice that I went down there with a cough that turned into bronchitis and Jerry had a sinus infection. Our biggest events were heading to the local Wal-Mart for another box of tissues or to Walgreen's for more medicine. Yippee. It really wasn't too bad. We just relaxed and took it easy. At least it was sunny and warmer than it is here in Michigan! 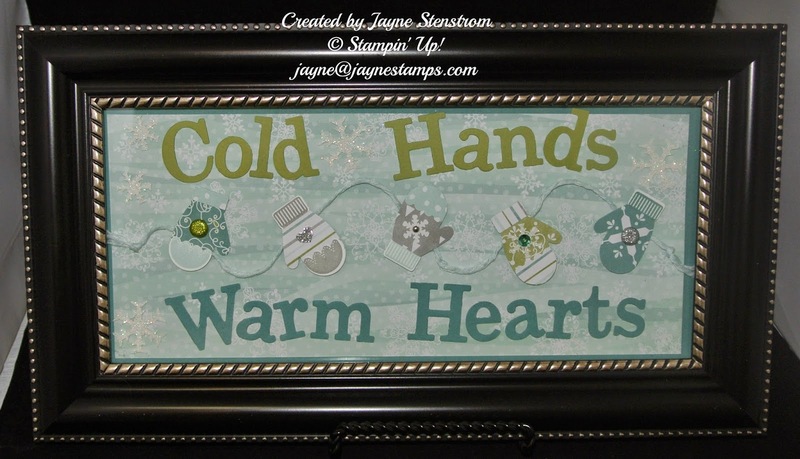 Those attending class can choose to make their frame in blues or in the greens and reds. 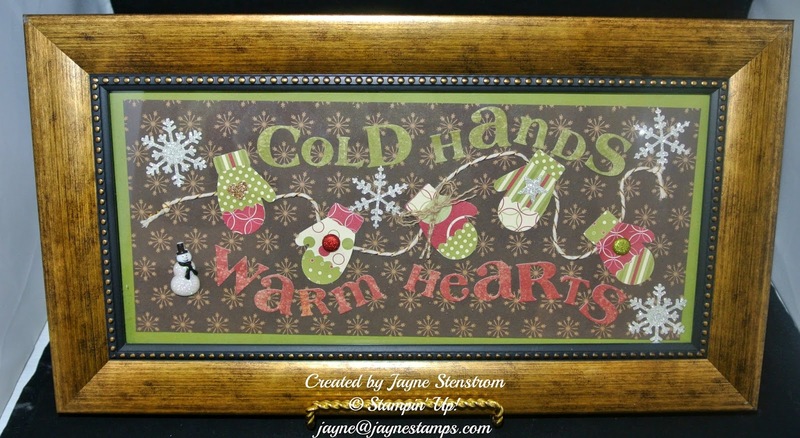 Cost for the class is $20 if you need a frame but only $10 if you provide your own frame. The inside measurement of the frame I used is approximately 11-1/2" by 4-1/2". I have a very limited number of frames available. (Just the four shown below.) 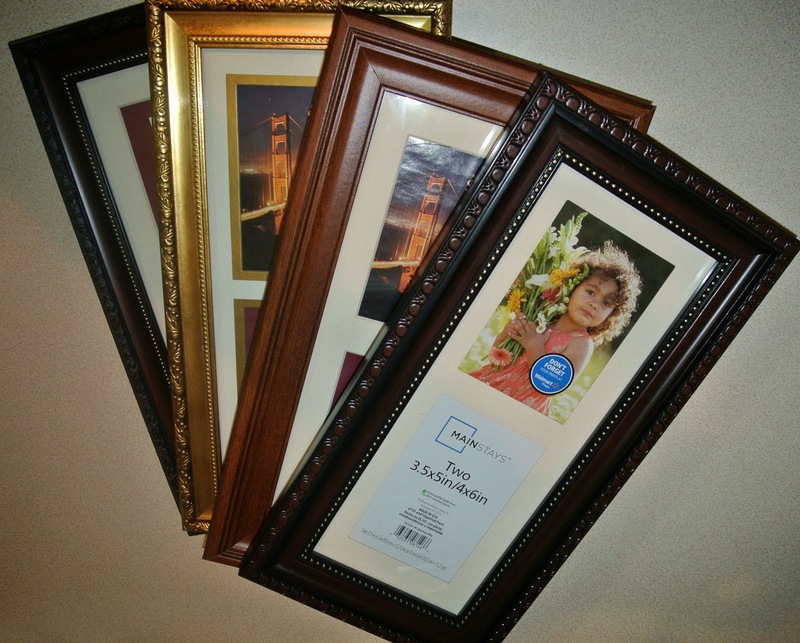 If you are interested in coming to class and need a frame from me, let me know which color frame you prefer. The frame color will be granted on a first-come basis, so don't wait to let me know which one is your preference. I MUST have your class fee to hold the frame for you. Please RSVP by Sunday, February 8 if you want to attend class. I'd love to have you come!